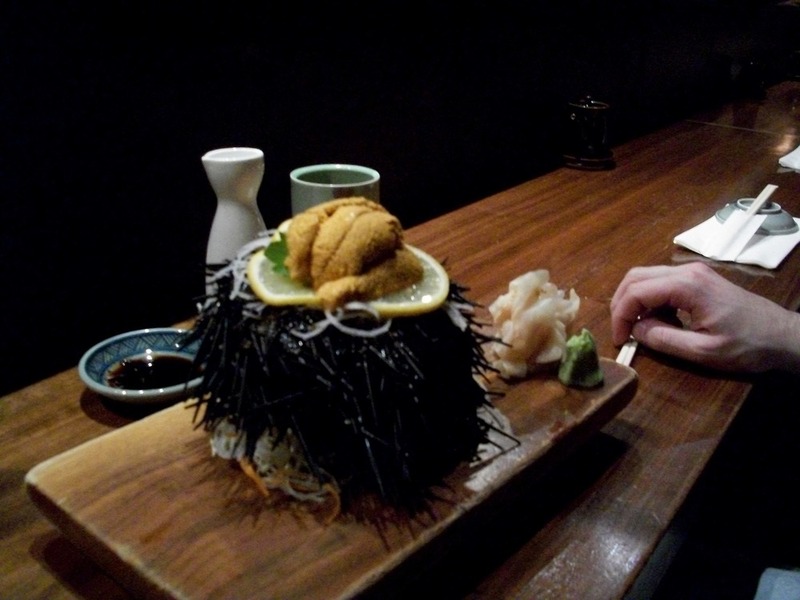 This is what it looks like when you get Sea Urchin at Blue Ribbon Sushi in Brooklyn. Do it when you’re on a date because it is a truly filthy (and delicious) piece of food. Also: when you leave, all the chefs say goodbye in an extra-respectful tone.